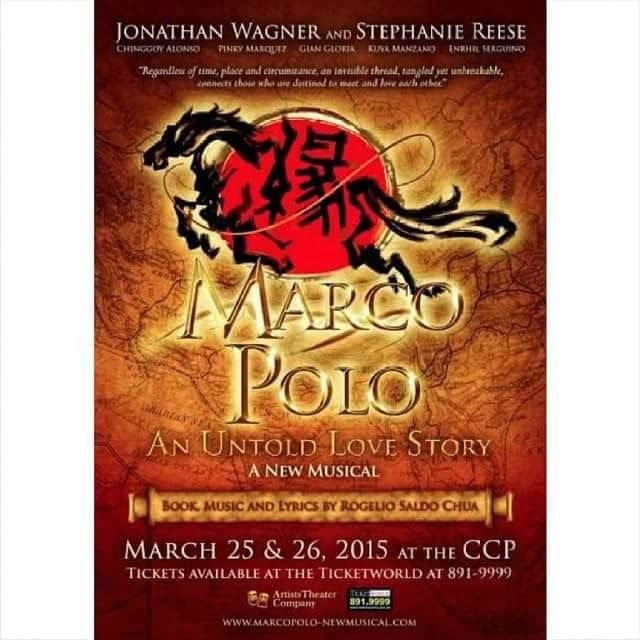 Artists Theater Company restages Marco Polo: An Untold Love Story (a musical) on March 25-26, 2015, 8pm at the Tanghalang Nicanor Abelardo, Cultural Center of the Philippines. The musical is written and composed by Rogelio Saldo Chua. To see a glimpse of what happened to Marco Polo in 2013 and 2014, check here.